We have 3 categories of rooms at Hospedaria Abrigo de Botelho i.e Deluxe Rooms, Executive Rooms and Premium Rooms. The executive rooms are located on the first floor. Enjoy a rooftop view of this heritage precinct from your own private verandah.In this category, we offer 1room having a large double bed and 2 rooms with twin beds. Tastefully styled in keeping with the heritage ambience, these 250 - 400-sq ft guestrooms come complete with antique furniture. 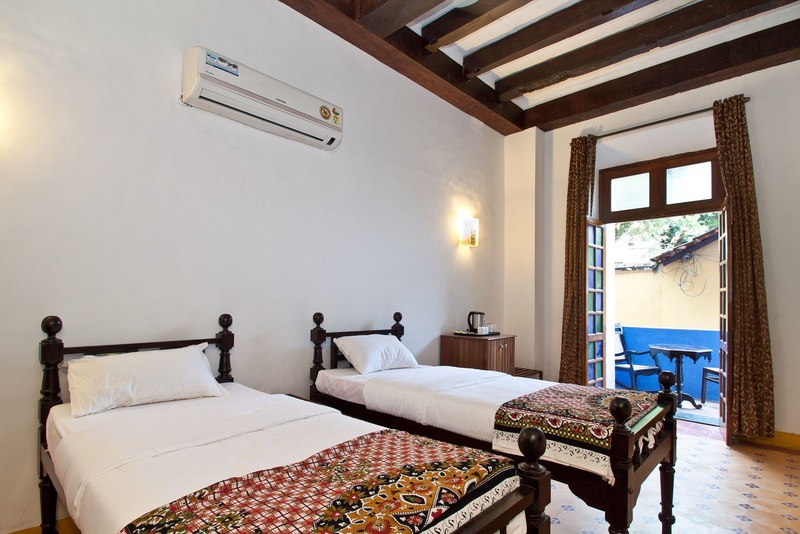 It also has its own unique bird eye view of the lanes and by-lanes of the Latin quarter.Here we offer 1 room with a large double bed and a diwan which can accommodate upto 3 adults. However, this Premium double bedroom, is the only guest room without a private sit-out. 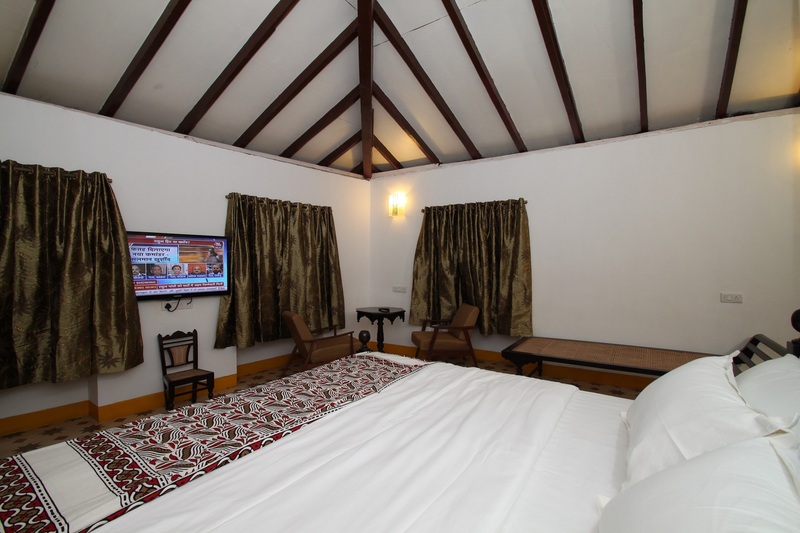 The other Premium room on offer is furnished with 3 single beds.